If you’ve recently found out that your house is going into foreclosure, you’ve probably asked yourself these questions and more. What can you do, if anything? The foreclosure process can be frightening and confusing, but you do have options. You can choose to go through foreclosure proceedings, or you can avoid foreclosure by selling your house fast to a real estate investor. Before you can make an informed decision, you need to know more about both. Keep reading to find out what exactly foreclosure is, how it affects your future, and how a real estate investor can help. If you know you’re headed for foreclosure or have already started the process, you should be familiar with how it happens. 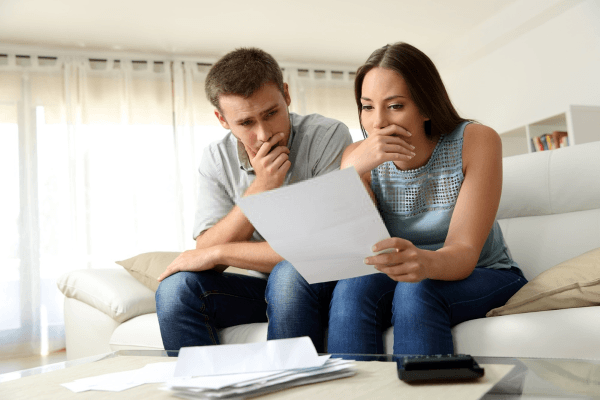 When you take out a loan to purchase a home, you enter into a legal contract with your lender telling you when to pay and what you owe each month – and what happens if you don’t pay. If you miss a mortgage payment, you will first receive a late fee, then a call, then a default letter, and finally, after your payment is 90 – 120 days late, your lender’s foreclosure department will take over. In both Kansas and Missouri, it takes about 4-5 months for the full foreclosure process. If in the 90-120 days after your late payment you don’t explore any of your options, your lender will move forward with the foreclosure process. This involves either court proceedings or a nonjudicial process, the latter of which is generally quicker. No matter which option your lender chooses, the end result is the sale of the property either through auction or foreclosure sale. Even after the sale, you may have to pay money to the lender if the home sells for less than what was owed. You can be sued for the difference by your lender in what is called a deficiency judgment. Whether you owe after the sale or not, the foreclosure will stay on your credit history for seven years and can drop your credit score by 85-160 points. 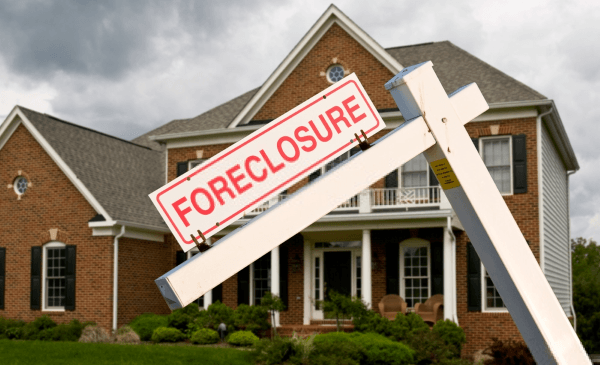 Selling Your Foreclosure to a Real Estate Investor – What Happens? Missouri – Kansas City, Independence, Parkville, North Kansas City, Gladstone, Grandview, Lee’s Summit, Blue Springs, Raymore and Belton to name a few. Kansas – Kansas City, Roeland Park, Mission, Overland Park, Fairway, Leawood, Lenexa, Olathe, and everything in the Kansas City Metro and surrounding areas. As soon as you learn you’re headed for foreclosure, contact us at (816)885-6441. We will ask for some preliminary information about the property (age, condition, number of rooms, etc) and schedule a time to come take a look at it. After viewing the property, we will make you an offer. Once an offer is made and negotiations are finalized, we will send you a purchase agreement. The title company will do their portion of the work (checking for liens, ensuring the property can be sold). When the title company is finished, and the closing process is completed, you walk away with your money. The entire process, from initial contact to closing, takes about 2-3 weeks. Compare that to the months your home could be on the real estate market waiting to be sold, and you can see why we are the better option when the aim is to avoid foreclosure. We will purchase your home as-is; you don’t have to make any repairs whatsoever. If you were to sell your home on the real estate market, you would almost certainly have to make repairs in order for a buyer to be able to get a mortgage. Since no mortgage loan is involved in our purchase of a property, no repairs are needed and the process is much quicker. Homes can stay on the market for months if not years. When you’re facing foreclosure, time is of the essence. Our purchase process takes weeks, not months. With us, you get your money faster and don’t have to worry about the foreclosure time frame. Foreclosures impact your credit score and stay on your record for seven years. In this time you may need to rent a home, purchase a car, or apply for a personal loan, all of which can become harder after a foreclosure. Selling your home to a real estate investor ensures your credit record is clean and you can more easily get back on your feet. We don’t have to tell you a foreclosure is stressful. When you’re exploring your options, think about how much more or less stressful each choice is compared to going through the foreclosure process. Selling your house fast for cash is by far the least difficult option. Receiving that notice of default can make your heart skip a beat. There’s no need to panic, though! You don’t have to put your home on the market, apply for loan modification, or declare bankruptcy. You can simply contact us, and we will help you find a way out – quickly, easily, and with as little stress as possible. Get your cash offer now by clicking here. If you still have lingering questions, visit our FAQ. P.S. – We don’t just help homeowners facing foreclosure. We can also assist you in selling your fixer-upper or inherited home! Click the link above or call us at (816)885-6441.